Because we are no longer in the rainforest, we got to meet the Oustalet’s chameleon today. It prefers dry forest, but it’s adaptable nature makes it common in towns and gardens as well. 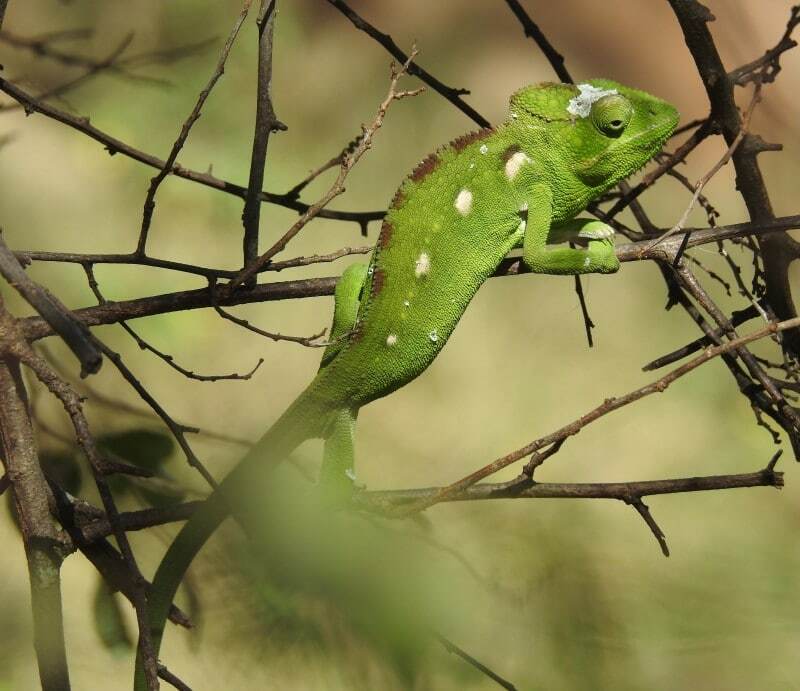 The guidebooks say the Oustalet’s chameleon is not bright green. I think they have a different idea of what constitutes bright than I do. It reminds me of Kermit the Frog. I have another picture somewhere of a female Oustalet's chameleon that looks even more like Kermit. I'll have to show it to you.